We can all struggle a bit in the Winter. It’s harder to get up when it’s so cold and dark, harder still to get out of the door. You have to lug more kit around, you get cold quickly when you stop. Sometimes it’s not safe to run on the ice, sometimes it’s just not fun. But then it’s also not fun to have to build your fitness up from scratch again once you emerge from running hibernation in the Spring. 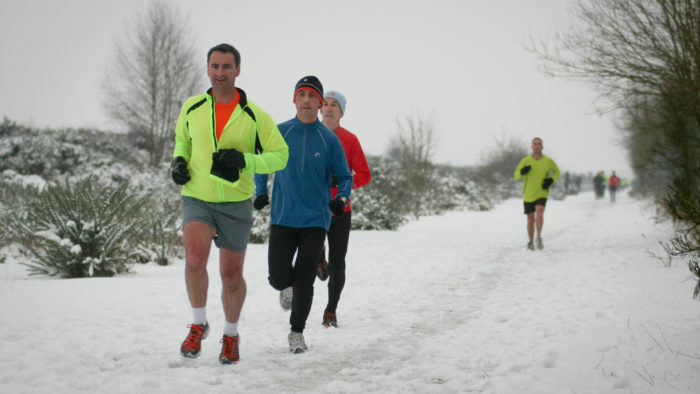 So here’s a few ideas to keep running fun through the Winter and keep you motivated. While on the face of it – mud, hail, snow, rain, shorts, vest – cross country doesn’t sound like that much fun, it honestly is. Forget all those traumatic memories of cross country at school, it’s actually much more fun as a grown-up. 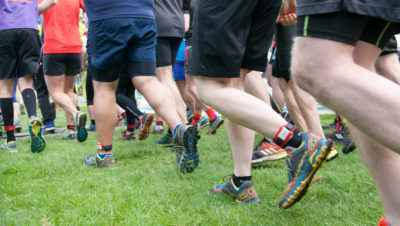 You’ve got the camaraderie of being in a team, you can splash through the mud and puddles like you’re a 5 year old again and you have the joy of post-run warm clothing and cups of tea. It’s a shortish distance and it’s an all-out pure racing experience whether you’re at the front or the back. It’s great training too as it’s got a bit of everything from hills to tempo to all-out sprinting. I also think that it also makes you more resilient as a runner. And even if you don’t feel very resilient you can’t cry because all those under 10s did their race before you and if they can do it without tears, so can you! Having a few cross country races to aim for can keep you motivated and help you to work on aspects of your fitness that you might not address at other times. If the weather isn’t very inviting or if it’s dark and you don’t feel comfortable running outside, Zwift can be a great option if you have access to a treadmill. 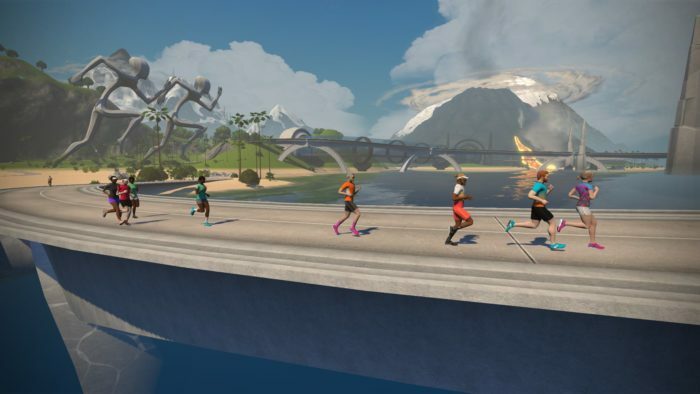 Zwift is a fitness platform born from gaming. 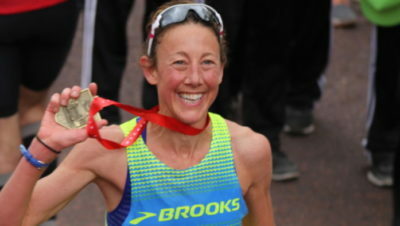 It’s been really popular with cyclists for a while now and it’s becoming increasingly popular with runners, especially since they introduced flexible training plans and announced running only routes. 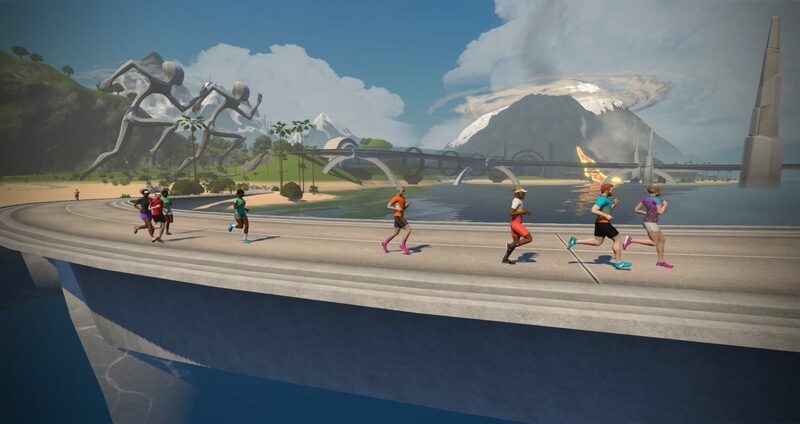 Runners can join group runs, do specific training sessions or just run a virtual route. It certainly makes the treadmill more interesting. 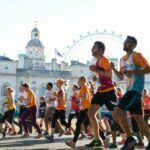 If you’re looking for a personal challenge to see you through December, the month of Christmas parties, too much booze and miniature Heroes on every desk in the office, how about the Marcothon? This is its 10th year and the rules are very simple: run 3 miles or 25 minutes, whichever comes first, every day in December. And yes, that includes Christmas Day and Boxing Day. Once you’re on a 24 day streak you don’t want to let it go, do you? This is a great initiative to keep you running throughout the month with the biggest barriers to running! It doesn’t have to be all about grinding out grim miles in the Winter. You can still find the fun! 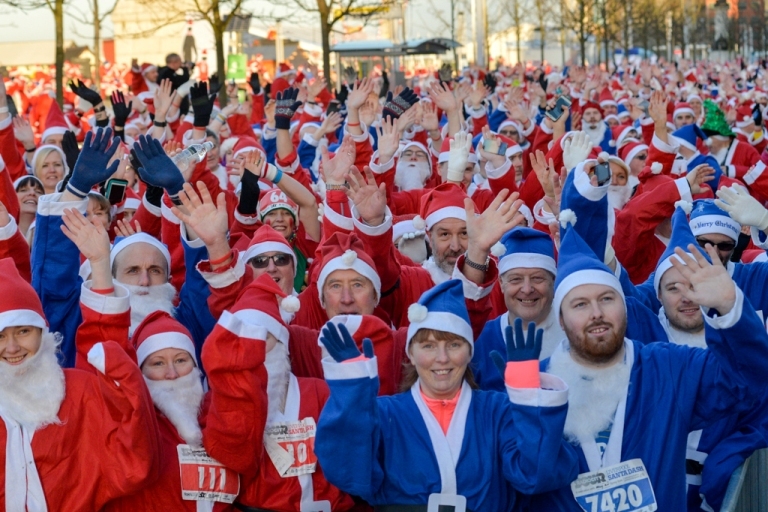 Santa Runs are great because if you take yourself too seriously (’14th place at the Santa Run!’) then you will look stupid. 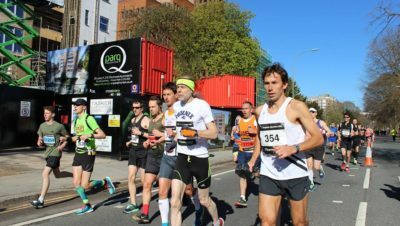 The main aim is fun and it’s a great opportunity to get friends and members of the family who aren’t that into running, to get their trainers on. And that Santa suit will come in really handy over the Christmas period. 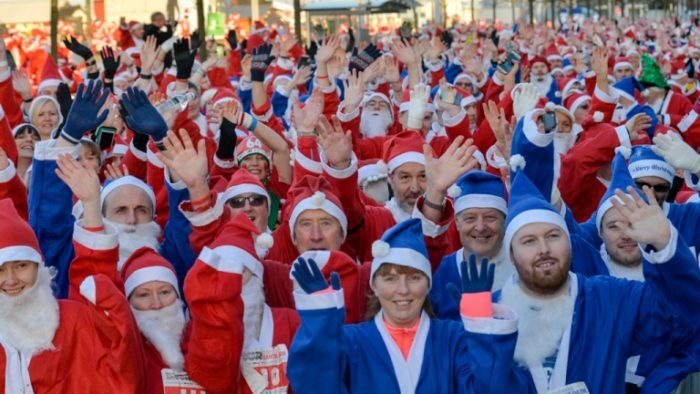 The Liverpool Santa Dash has thousands of competitors every year and they can choose to wear a red or blue Santa suit! This year it’s the official fundraising event partner for Channel 5’s new national festive campaign, Help The Animals at Christmas. If you can’t make it on December 2nd you can even take part virtually and they’ll post your Santa suit out! Having gone on about all the ways you can keep running through the Winter, here’s a slightly leftfield idea: don’t run. When was the last time you took a break from running, apart from an enforced injury rest? Have you been neglecting friends and family? Would this be a good opportunity to spend more time with them, without the self-inflicted pressure of having to run? Have you been meaning to cross-train more? Could you pick up the cycling, skiing or hit the gym or the yoga class? You might even find it benefits your running when you get going again.